When I was child, I eagerly read most of the Oz books by L. Frank Baum. While I was initially perplexed at how different the stories were from the 1939 movie, “The Wizard of Oz.” I was enchanted by the crazy, colorful world depicted in the pages. After reading the first chapter of “The Wonderful Wizard of Oz,” it’s understandable why the movie begins in black and white. The hardscrabble life on the Kansas prairie is depicted as gray and cheerless. Keep in mind the original book is set decades before the Dust Bowl and the Great Depression wreaked so much damage on the region. It’s no wonder that Dorothy is delighted to awaken in a land of vivid color and magic. If you’d like to revisit these delightful stories, you’ll be delighted to know all the books are now public domain. You can find them free for the Kindle on Amazon. Project Gutenberg also provides the Oz books in a variety of formats. While perusing the freebies, I also noticed another story with a gray theme. “Wool” is a novella about a dystopian future and hope amidst a gray existence. This highly-rated novella is free again and I highly recommend grabbing this great read. After all that gray, you may be in the mood for something spicy, so I’ve included a novel with a plucky teen heroine whose house is also destroyed in the first chapter, and a DIY seasoning cookbook. Enjoy! The Wonderful Wizard of Oz is a children’s story written by L. Frank Baum. It was originally published in 1900, and has since been reprinted countless times, sometimes under the name The Wizard of Oz. The story chronicles the adventures of a girl named Dorothy in the Land of Oz. Thanks in part to the 1939 MGM movie The Wizard of Oz, it is one of the best-known stories in American popular culture and has been widely translated. Its initial success, and the success of the popular 1903 Broadway musical Baum adapted from his story, led to Baum’s writing and having published thirteen more Oz books. After a fire destroys seventeen-year-old Julia’s home and kills her foster parents, she chases the half-demon responsible across the country and back, determined to avenge her family and discover why a host of celestial baddies want her dead. With Julia is enigmatic hottie Cayne, who has his own score to settle with the half-demon, and who might be just as dangerous as the creature he and Julia hunt. With the economic downturn of the US one item that has really increased in price are spices. I have watched spice packets double in price. People are willing to pay for a little something extra when it comes to good tasting food and your grocer knows this. For this reason spices will continue to climb as economic times waver. Bulk Seasonings are much cheaper. If kept in a good mason jar or other suitable condition away from heat and light they will last for years. So what are you waiting for? Start saving today! Whip up your favorite seasoning mix from the spices I’m sure you already own. 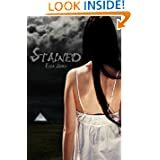 This entry was posted in Free eBooks, Kindle Bargains and Freebies and tagged Books, Fiction, Free, Kindle, Oz, Recipes by Lori Saltis. Bookmark the permalink.